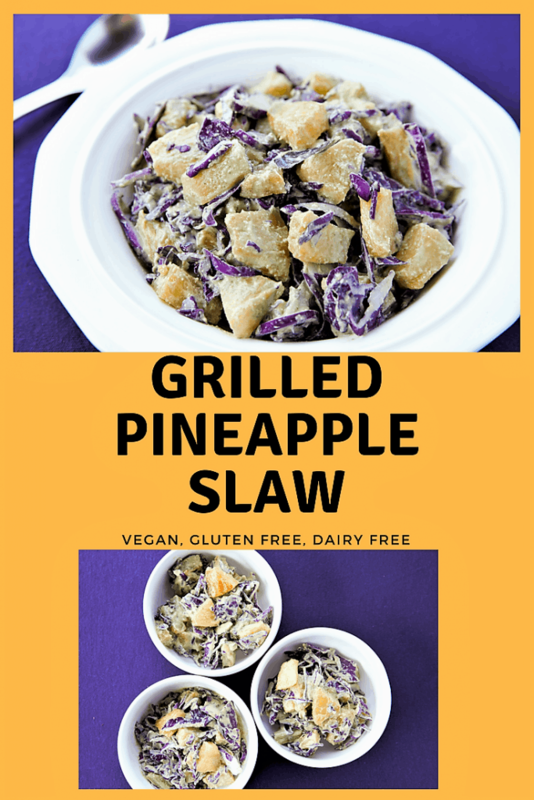 Grilled Pineapple Slaw. It is spring time now, and it wont be long before we are diving into those summer barbecues. 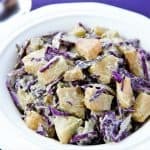 There is no food that goes better with summer barbecue than slaw, and slaw has many flavors and variations. 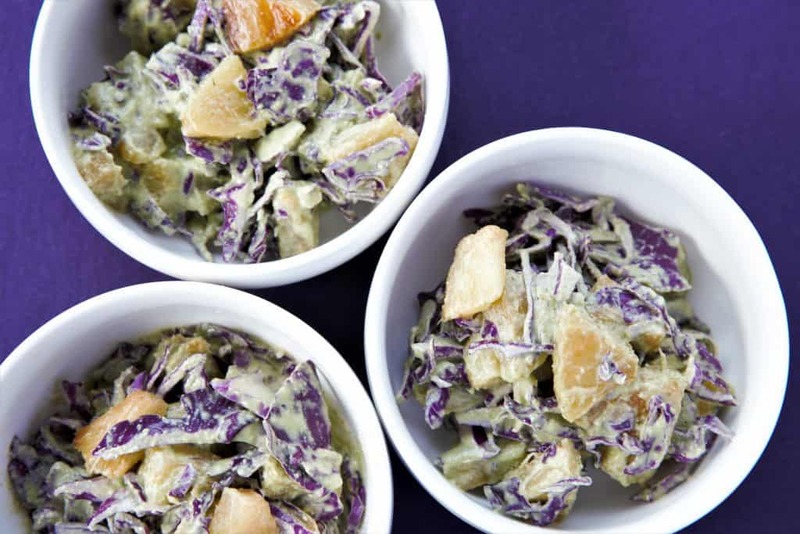 This is a sweet slaw, using grilled pineapple, purple cabbage and a cilantro lime dressing. 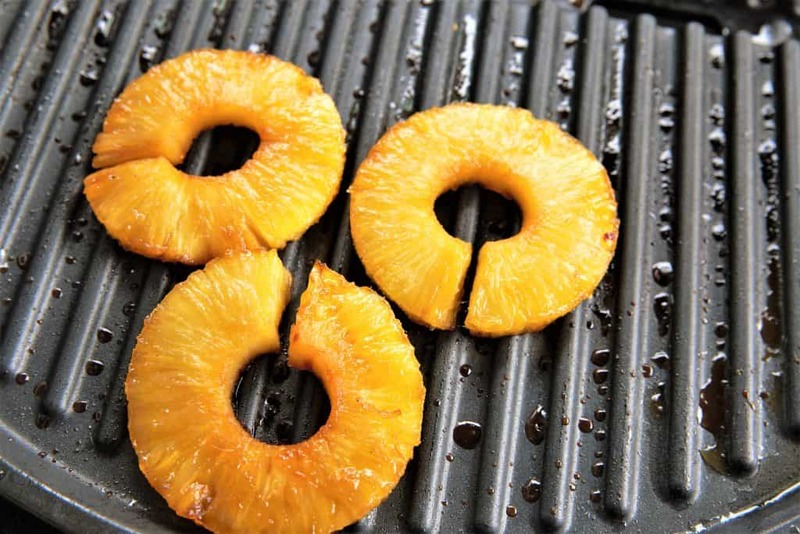 The carmelization of the maple syrup on the pineapple on the grill is yummy. So many delicious flavors in this combination. 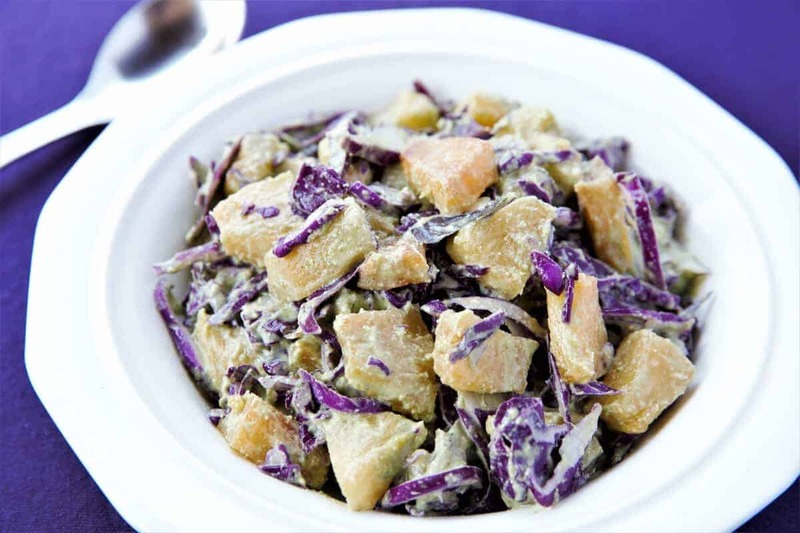 This dish is the perfect for a side dish for any main course that you are serving. Vegan, gluten free, dairy free.